Warner Bros. nabs new domain. Scribblenauts Remix, a new website domain registered this week by publisher Warner Bros., could point to a new game in the puzzle-solving series. But does the registration (spotted by Superannuation) suggest a completely new title or a remix of the two existing DS games? If the latter, could developer 5th Cell be cobbling together a quick compilation for 3DS? Or will it jump ship to set the pint-sized type-what-you-want-to-see platformer sailing onto iOS instead? Expanding Scribblenauts to another platform would not be unexpected - 5th Cell CEO Jeremiah Slaczka previously told Eurogamer the developer had "achieved everything" it wanted "as far as what the Nintendo DS can do." 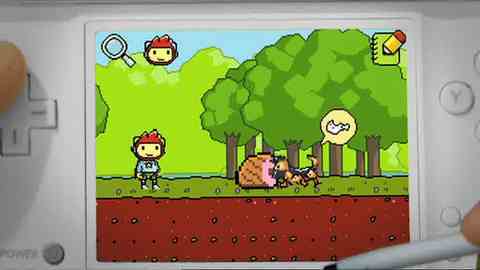 The original Scribblenauts scored a respectable 7/10 upon its launch in October 2009. A sequel, Super Scribblenauts, followed a year later and went one better, snatching a Eurogamer 8/10. If you spell it, it will come. UPDATE: Confirmed, coming 9th March. Future of developer 5th Cell now in doubt. UPDATE: Nyan Cat creator speaks out, says WB "disrespected and snubbed" them, so it had to come to this.